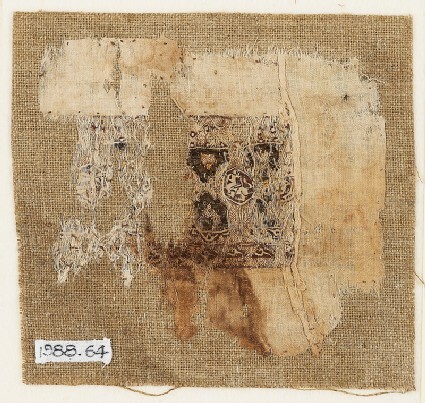 Remains of a tapestry band woven into a linen fabric. 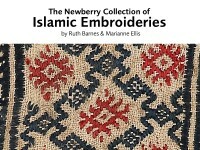 The tapestry is purple, green, red and brown silk with gold thread, as well as fine flax thread. There is a very small medallion containing an animal, possibly a rabbit with a long tail, woven in white against a purple ground. There is a run-and-fell seam at right angle to the tapestry band. The band is 5 cm wide. 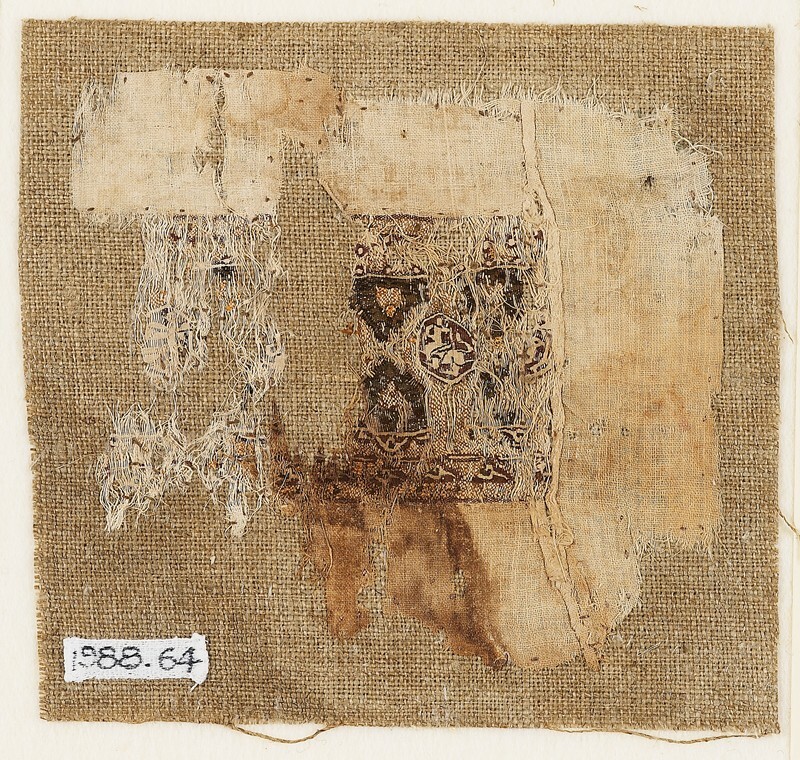 It is too deteriorated to make out more of the design, but apparently the textile was of very high quality. It is likely to be of 11th century date.